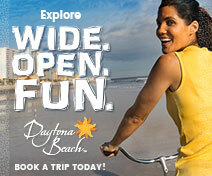 Travel Guide to Florida - Southwest Florida | Bordered by the cities of Bradenton and Sarasota to the north and Fort Myers and Naples to the south, Southwest Florida has a distinctive natural landscape coupled with a spirited dedication toward its preservation. Turquoise Gulf waters, sun-kissed beaches, nature preserves and small-city sophistication define Southwest Florida. Diverse cultural amenities, such as museums, art galleries and philharmonic theaters, co-exist with beautiful beaches and water sports. Bordered by the cities of Bradenton and Sarasota to the north and Fort Myers and Naples to the south, Southwest Florida has a distinctive natural landscape coupled with a spirited dedication toward its preservation. Sprinkled with small towns and barrier islands, this scenic stretch of coastline offers abundant vacation options for everyone. 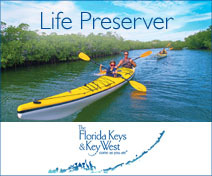 Preservation of its natural resources and environment is the mission of the Conservancy of Southwest Florida. Founded in 1964 by a group of residents passionate about protecting the unique natural environment in Collier County, the Conservancy has grown to meet the challenges of protecting the water, land, wildlife and future of Lee, Charlotte, Collier, Glades and Hendry counties and is now investing in the future with a $20-million expansion of the Conservancy Nature Center. Scheduled to celebrate its grand re-opening in 2013, the sustainable Nature Center includes several new facilities for scientific testing and learning at the Eva Sugden Gomez Environmental Planning Center, the Dalton Discovery Center, the von Arx Wildlife Hospital, the interactive Ferguson Learning Lab and the Eaton Conservation Hall featuring the Jeannie Meg Smith Theater. Upon entering the Conservancy Nature Center, a dramatic new bridge over the Smith Preserve Way provides a viewing platform into the natural habitat of gopher tortoises. Filter marshes filled with sweeping vegetation clean the water runoff from a nearby commercial development. The Dalton Discovery Center teaches young and old about ecosystems in the area through exhibits containing 125 live animals living in their natural habitats. Educational videos document the research work on the Conservancy, including Florida panthers, gopher tortoises and the importance of protecting the natural resources. A "touch tank" filled with live horseshoe crabs, hermit crabs and other small marine life that live near the shore provides a hands-on experience. Today the Wildlife Clinic shelters injured, sick and orphaned native wildlife, providing medical assistance and rehabilitation. More than 3,200 native animals are now cared for annually and approximately half are returned to their native habitats. The new von Arx Wildlife Hospital has the capacity to double the number of animals that are getting a second chance. The new facilities embrace "green" technologies, such as geothermal, LEED and energy management systems to protect the future of Southwest Florida. 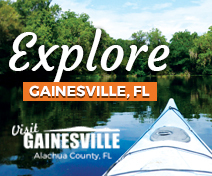 Electric boat rides and kayak tours up the Gordon River offer enjoyable excursions. 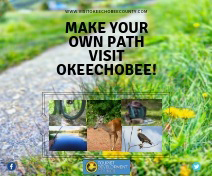 Or explore the walking trails to observe the natural environments. The grand re-opening is scheduled for Earth Day Weekend in April 2013. The cultural landscape of Southwest Florida is well developed and sophisticated. The Philharmonic Center for the Arts in Naples presents an exciting variety of visual and performing arts in a state-of-the-art theater. Broadway shows, musical entertainers and the Miami City Ballet are examples of the exceptional options. The Phil, as it is known by locals, also houses the nationally recognized Naples Philharmonic Orchestra whose inspirational performances of classical, pops, chamber and opera are truly memorable. The Edison & Ford Winter Estates in Fort Myers provide a glimpse into the past of inventors Henry Ford and Thomas Edison. Set on the Caloosahatchee River, the estates are a tropical paradise with 20 acres of botanical gardens containing more than a thousand varieties of plants, flowers and trees. Visit their homes, museum and the Edison Botanic Research Laboratory. A trip to Sarasota is not complete without a visit to the John and Mable Ringling Museum of Art located at the Ringling winter estate—the Ca' d'Zan Mansion. The complex includes art galleries, a sculpture garden and a circus museum featuring the world's largest miniature circus that kids won't want to miss. Just a short ride from the picturesque streets of downtown Old Naples is the western edge of the largest subtropical wilderness—the Everglades. Showcasing the area, the Rookery Bay National Estuarine Research Reserve contains nature trails, a butterfly garden and learning centers. 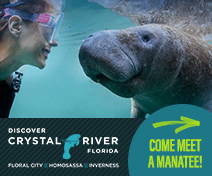 The Visitors Center delights with hands-on experiences and live exhibits such as the gopher tortoise exhibit, a 2,300-gallon aquarium filled with native fish, a nature store, picnic area and art gallery. Check the website for which day of the week the "touch tank" program is open for children to see and touch crabs, starfish or conch. Most Fridays in the summer are free for kids. Outside, a boardwalk with a viewing platform and three nature trails along Henderson Creek enable visitors to view the indigenous plants and natural beauty of the coastal habitat. On the first Friday and Saturday of each month, Village of the Arts in Bradenton holds an Artwalk. Funky art galleries offer the opportunity to meet the local artists and purchase collectibles, jewelry and artwork. Cafes offer tapas, wine and music. Lions and tigers and bears—and many other animals—can be found at the Naples Zoo at Caribbean Gardens. Hand-feed a giraffe, see cheetahs up close, and watch alligators being fed in their natural habitat as you stroll through the tropical plants and garden pathways. Meet a zookeeper and learn about these magnificent animals. The cities of Southwest Florida offer urbane amenities, as well as tropical natural environments. The downtown Naples areas of Fifth Avenue South and Third Street South teem with shops, restaurants and art galleries. The delightful town of Boca Grande is located on Gasparilla Island—a barrier island situated in both Charlotte and Lee counties. Reminiscent of times gone by, this picturesque village exudes charm and history. Stroll along Park Avenue for casual shops, art galleries and nautical artifacts. Celebrated for the world's best tarpon fishing, Boca Grande is graced with sugary beaches, excellent shelling, family-friendly activities and quaint inns. Beyond Marco Island, Southwest Florida backcountry leads to Everglades City—the Gateway to the 10,000 islands and Everglades National Park. Once a small fishing village, Everglades City began its growth in 1923 when Barron Collier purchased most of the land. Today, historic buildings stand downtown, reminiscent of the city's trading-post past. 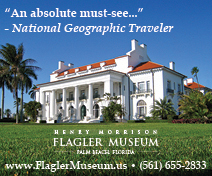 The Museum of the Everglades showcases the history of the area and is a focal point in town. 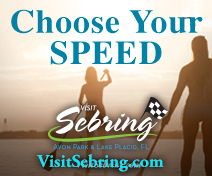 Experience this vast natural wilderness by airboat, kayak or canoe through local tour companies. The cities and small towns of Southwest Florida are dotted with a wide range of dining options from elegant and pricey to island-style and affordable. The Columbia Restaurant located on St. Armands Circle in Sarasota has an indoor dining room and expansive covered patio. The Spanish cuisine includes seafood dishes, such as its Paella "A la Valenciana," as well as sangria and crusty Cuban bread. Its legendary "1905 Salad" is a wonderful meal containing the freshest ingredients. Tapas, chorizo sausage, shrimp, steaks and fish round out the innovative menu. Panoramic views of tropical nature, skillfully crafted fairways and expertly designed resort and public golf courses bring golfers back time and time again to Southwest Florida. To find a course that energizes your game, check out SarasotaGolf.net. Spring in Southwest Florida attracts baseball fans to various venues along the coast to watch their favorite teams warm up for the season. The Florida Spring Training website contains all the information fans need to see the Boston Red Sox, Minnesota Twins, Baltimore Orioles, Pittsburgh Pirates and Tampa Bay Rays play. A defining characteristic of Southwest Florida is its natural habitats, which are decidedly different from other areas of Florida. 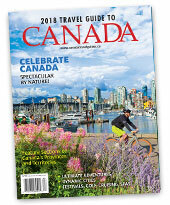 To preserve and celebrate these distinctive regions, several botanical gardens and conservation areas have evolved. The Naples Botanical Garden has grown into seven cultivated world-class gardens and natural habitats. 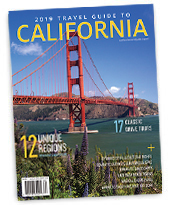 Grasses, wildflowers and exotic plants from Florida and the Caribbean are only a sampling of the bounty exhibited. Nearby, nature comes to life in the 1.5-million-acre subtropical wilderness at Everglades National Park. Ride an airboat to get a close-up look at crocodiles, alligators, marine life and birds. 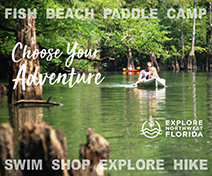 Kayak or canoe on a guided tour in the tropical waterways and visit the Visitor Center for art exhibits. Chic designer shops, charming small-town centers, discount outlets and flea markets in Venice and Fort Myers provide shopping opportunities in Southwest Florida. St. Armands Circle is Sarasota's shopping and dining crown jewel. Strolling along the walkways, shoppers find one-of-a-kind boutique shops and inviting sidewalk cafes. Birds soar overhead and dolphins frolic in San Carlos Bay as families picnic, swim and fish on small islands off the Sanibel Causeway. As you drive onto Sanibel Island, azure waters, lush vegetation, cyclists, shell-strewn beaches and tropical environs greet you; you'll soon note that buildings here are no taller than the palm trees. Coast along Sanibel-Captiva Road and cross a tiny bridge at Turner Beach onto the casual, bucolic island of Captiva where bougainvillea, cactus and sand dunes dot the landscape. Small cottages and beach homes with tropical names populate the winding road to the downtown village of Captiva where restaurants and a small number of shops offer unique treats. 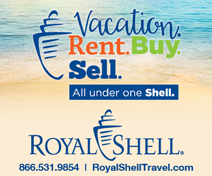 Kick back, swim, fish and go shelling on the soft, sandy beaches. Family-friendly resorts and condos are plentiful for those who wish to linger a while longer. 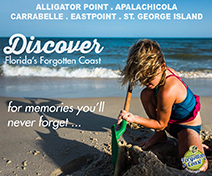 A string of barrier islands with beautiful beaches, caressed by warm Gulf of Mexico waters, stretches along the coastline. 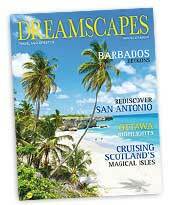 These islands offer exciting experiences for everyone—swimming, water sports, fishing, boating trips and relaxation. The No. 1 beach in the United States, according to Dr. Beach, is Siesta Beach on Siesta Key. This small island off the coast of Sarasota has bright, white sand that is always cool to the toes due to the nearly pure quartz content. More than 100 species of marine life, including dolphins, manatees, sharks and sea turtles, can be observed at the Mote Aquarium in Sarasota. Learn about where they live and watch sharks feed in the shark tank. Known for world-class shelling, the tropical islands of Sanibel and Captiva, located near Fort Myers, also offer cycling, shopping, water sports, boating and fishing. On Sanibel, the J.N. "Ding" Darling National Wildlife Refuge provides enjoyment for all. The refuge features reptiles, birds, mammals, bike and walking paths, and winding canoe trails. From seafood festivals (February in Everglades City) and swamp buggy races (January, March and October in Naples) to a profusion of festivals that celebrate art from juried artists, glass and metal sculpture, photography, jewelry, as well as local arts and crafts, diverse annual events are held in towns and cities up and down the coast. Sarasota's St. Armands Circle hosts the Annual Art Festival in January. In February and March, Sarasota welcomes visitors to its downtown Festival of the Arts and Art and Craft Festival. The Naples National Art Festival, held in February, showcases the talents of more than 250 artists from across the country in a competitive, juried event. Additionally, during most months of the year, Naples presents art and crafts at fairs on Fifth Avenue South and at Cambier Park. A celebration of films and filmmaking takes place in April in Sarasota and in November in Naples when film lovers can view independent films from around the world and meet filmmakers in an educational and creative setting. Enhance your experience at the Naples Botanical Garden by downloading its mobile app for detailed information about each garden and future events.